If you are building a new home and installing a new HVAC system or your old HVAC system is on the outs, it is important to choose the right HVAC system type for your home and lifestyle. When choosing a new HVAC system there are two styles to choose from: single-stage and two-stage air conditioners. Let the experts at ADA Heating and Air of Central Kentucky help you determine if a single stage HVAC is the right system for your home. Many people are not even aware that there are two different styles of HVAC units for the home. If you are one of these people, a quick rundown of each style will help you better understand which system is best for your home. At the most basic level, single stage HVAC systems only work at one setting. These systems cool your home at maximum power every time they are running. They constantly disperse air at the maximum amount of output available regardless of the outdoor temperature. Two stage HVAC systems have two function options: high power for hot days and low power for mild temperature days. In a two-stage system, the furnace first outputs air at its highest power to adjust the temperature within your home to the appropriate degree. Then, after the house is the right temperature, low power is activated to maintain the temperature within your home. 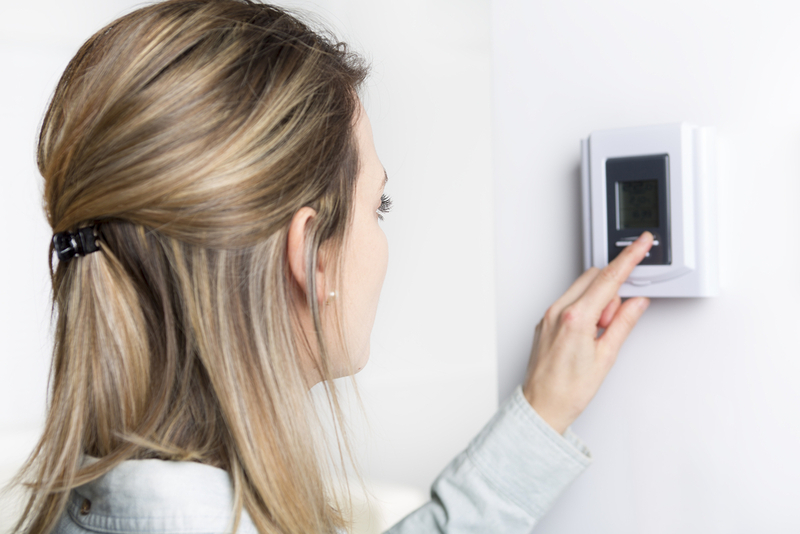 With a single-stage HVAC unit, the thermostat that you choose is important. While older models still utilize mercury to tell the temperature, like a traditional thermometer, modern thermostats rely on a digital reading. With these more advanced thermostats you can program a schedule of heating and cooling in your home to avoid costly bills from your unit running at full blast for the entirety of the day. With these thermostats, you can program your single-stage HVAC unit to reach certain temperatures during certain hours of the day. So, when your home is unoccupied during the day, you can program the temperature to be higher or lower so your unit will not need to run during those hours. Two-stage HVAC units are considerably more expensive than single-stage HVAC units because they are more complex in design. While two-stage systems usually save you more money on your heating and cool costs, when paired with the proper thermostat and programmed correctly, single-stage HVAC units can still be incredibly affordable. This decision ultimately depends on a few things: your budget and where you live. If you live in an area that has a humid climate with extremely hot summers, a two-stage system will be better because you will be more comfortable in your home during these hot and humid months. If your budget is restricted, a single-stage HVAC unit is the best choice. While a two-stage system is more advanced, you can program your single-stage unit in a way that will keep you comfortable in your home while also keeping your heating and cooling costs manageable. If you have more questions about which system is right for your home, contact the experts at ADA Heating and Air. Serving Central Kentucky, including Danville, Versailles, Nicholasville, Stanford, Lancaster, Harrodsburg, Lexington, and Winchester since 1984, a member of the BBB, Angie’s List, and many other formidable accreditations, you can rest easy knowing that you have chosen a company that will work with you in an efficient and professional manner to complete any heating and cooling project.